Hot on the heels of the amazing success of his recent Rockmas 2017 spectacular and available much earlier than last year, Roy Wood has announced that tickets for next years event are now on sale. 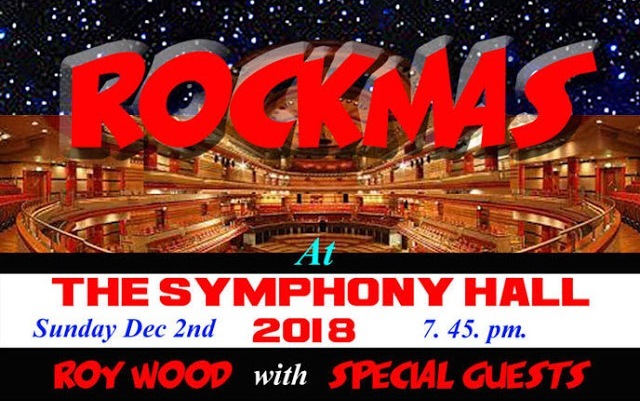 Rockmas 2018 will once again take place at the iconic Symphony Hall in Birmingham on Sunday 2nd December 2018 at 7:45PM. 2017 Rock 'n' Roll Hall of Fame Inductee Roy - founder of The Move, ELO and Wizzard - has previously invited the likes of Quill, Andy Fairweather Low & The Low Riders, Galleon Blast, Rick Wakeman, Mick Miller, The Proclaimers, Kev Orkian, Jasper Carrott and Paul Young to join him so we can look forward to another memorable night in December! 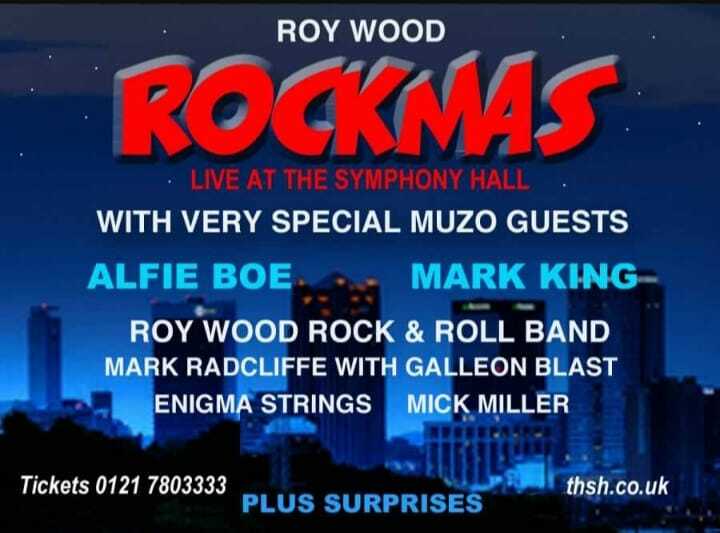 elobeatlesforever (elobf) recommends Roy Wood's Rockmas 2018 to those enlightened folks who enjoy the music of ELO, Jeff Lynne, Roy Wood, Wizzard, The Move, The Idle Race, 'Brum Beat', The Beatles and related artistes. Jeff Lynne: Seventy Light Years Today!